I want this so bad! The only detail is that I would have to get it from Sweden to Switzerland. And it's a French cupboard! Now I want it too! 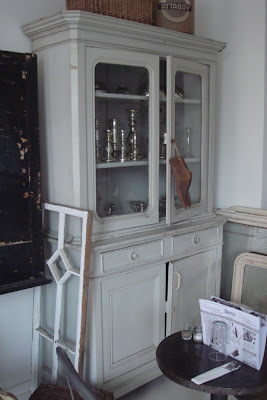 Hey, I have a Swedish cupboard (vitrinskâp) in Gustavian style (not solid wood) that I am selling, so not really the same style as the one on the pic, but it is here in Switzerland in case you would be interested. I bought it in Sweden. Now I am selling it off because I don't have room for it in my new place. It is a grey/white color but would look fab if painted into black or white or a very "cool" color like pink, yellow etc.